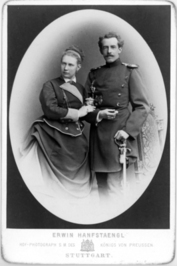 Read about Prince Albert's stepfather, A Broken Engagement (Frederik of Denmark and Olga of Greece), King George's Palace and anjoy the family album; THE ROYAL LINE OF BAVARIA. 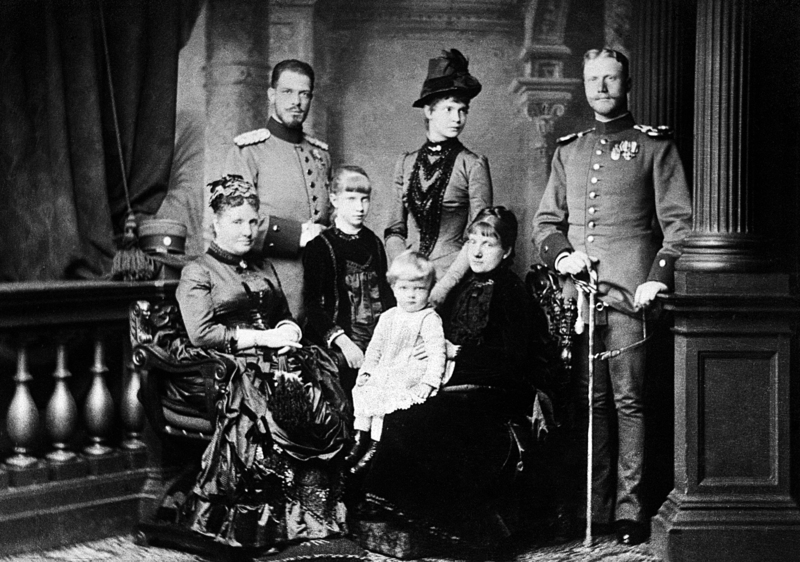 Infanta Amalia, Pricess Adalbert of Bavaria (left) with her family in about 1886: her son Prince Ludwig Ferdinand; daughter Princess Klara; grandson Ferdinando Maria of Bavaria, Infante of Spain with his mother Infanta Maria de la Paz, Princess Ludwig Ferdinand (a daughter of Queen Isabel II). 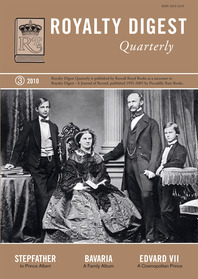 Behind her are Princess Elvia, Infanta Amalia's elder daughter, and Prince Alfons. 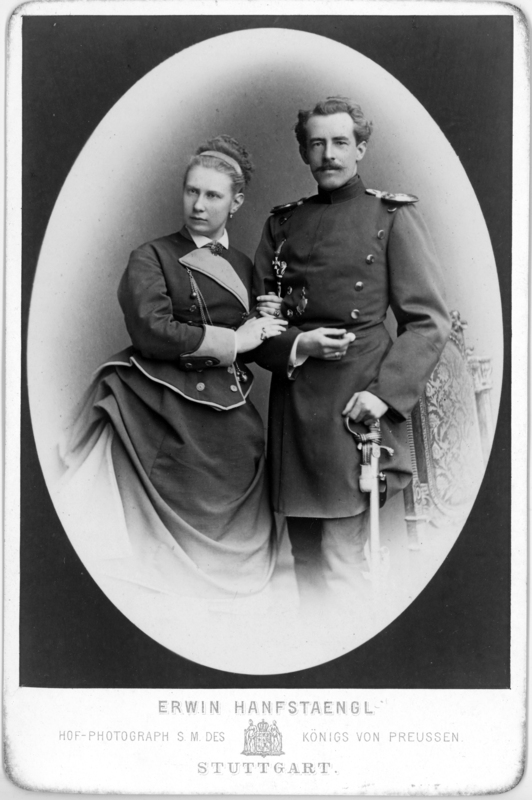 Grand Duchess Vera Konstantinovna of Russia and Duke Wilhelm Eugen of Württemberg, taken in Erwin Hanfstaengl's Stuttgart studio.